a reflection after Washington D.C. 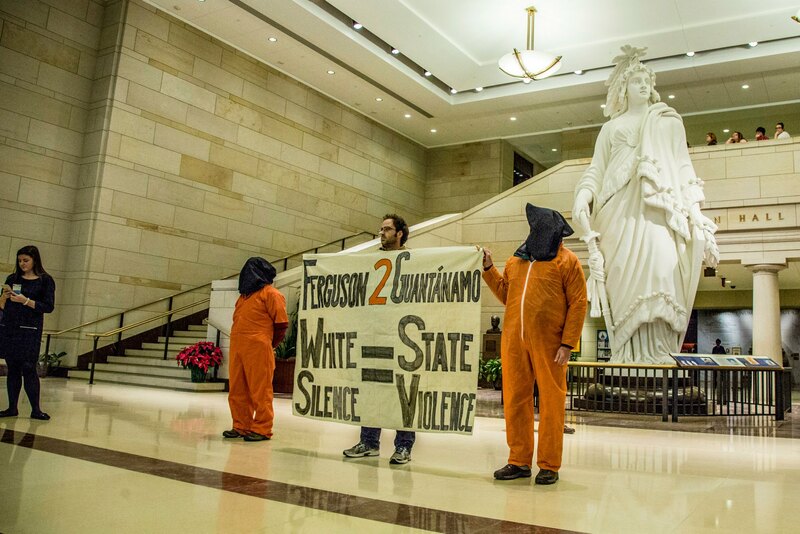 I can’t begin to feel the rage, the sorrow, the raw feelings and despair the 127 men in Guantanamo and the Black people must feel in the face again and again of violations of their rights as human beings and with such ignorance and apathy and disregard of them as persons by the white community. I am white. I am way too smug, absorbed in my own ways of living, accustomed to politeness over confrontation, to giving the benefit of the doubt to people and institutions rather than asking hard courageous questions of prejudicial practices pointed out to us by the African American community. Sinful, shameful practices continue at the expense of others who often do not hear their voices being received by the white community. My white sense of privilege speaks through daily habits with the use of money, with my ease with traveling, in my vacation destinations, in my educational opportunities, in choices how to use time and even in my worship. My white silence must and can be broken. I have learned that my white silence=state violence; so I must take the lead of the African American community and learn the ways of transformation. Ferguson can be a center of light, directing us like a lighthouse how to enlighten our darkened intellects and spirits and address the complicity that each of us white people is guilty of. We can, step by step, come to transformation of soul and to practical ways of living differently in loving response to our brothers and sisters of color. Being Gospel people, disciples of the One who came for all, we cannot go about our lives now business as usual. We need each other. We need Martin Luther King. We need the Black Community to lead us to light. Thank you for sharing your experiences and views on this subject. I agree it is time we all take a stand on the issue of human slavery and walk with our brothers and sisters of all color in the fight to end these injustices.